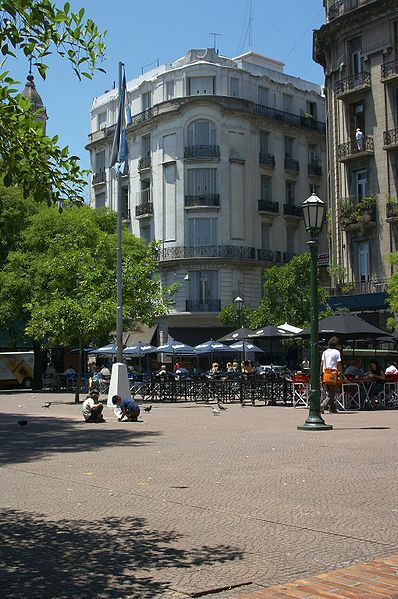 Plaza Dorrego is located in the heart of San Telmo neighborhood in Buenos Aires. 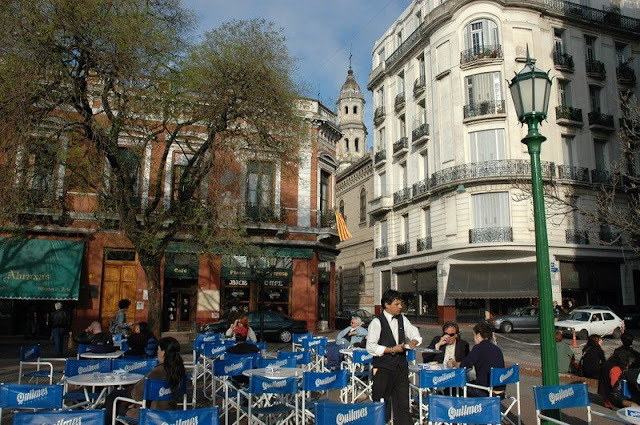 Very near the city center of Buenos Aires, but also nowadays with a good option of good hotels around the area. It is a one of the major tours of Buenos Aires. I am sure that most of the tourist that visit Buenos Aires at one moment they do this tour and go to Plaza Dorrego, as it is one of the most traditional tours, but also it is a place visited by locals, it is nice to have a good coffee in the Plaza and enjoy the street performers who are on the sidewalks, as living statues, tango dancers and musicians. 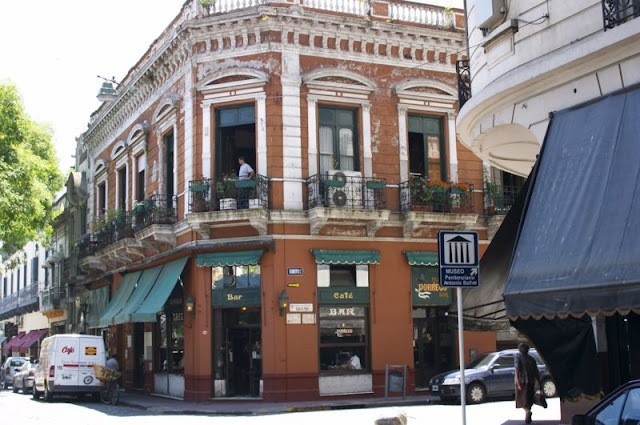 All around the Plaza are cafes, bars and pubs with tables on the plaza, and also antiques and crafts shops. There are plenty of shows by musicians and street dance, including tango shows. 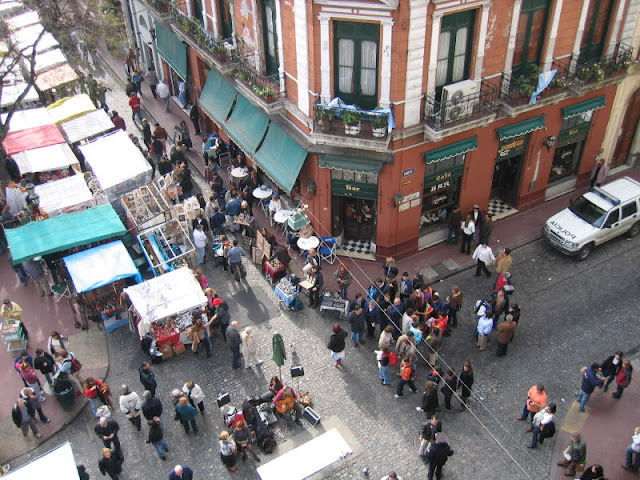 On Sundays the Feria de San Telmo takes place, during which the square and surrounding streets are occupied by artisans that expose their works and also antiques. 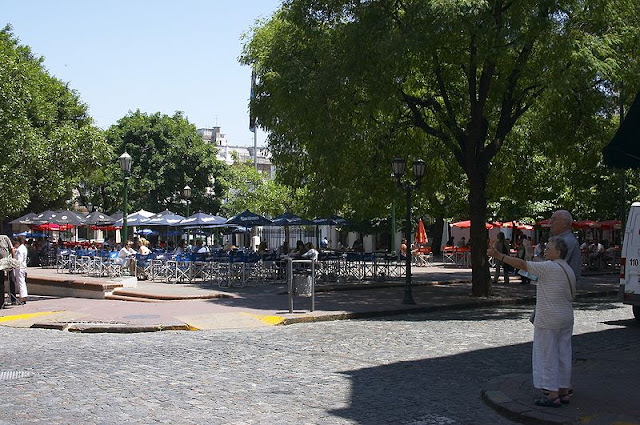 The tourists and locals contribute to give Plaza Dorrego a very special physiognomy. The surrounding buildings are characteristic of the late nineteenth and early twentieth century no more than three floors, which houses cafes, restaurants and pubs, but also around the neighborhood you have churches like the Jesuit Church Nuestra Señora de Bethlem, the Parroquia de San Pedro Telmo, and the Antonio Ballve Prison Museum, which still houses the Chapel of Nuestra Señora del Carmen, built in 1734. One of the main attractions of Plaza Dorrego and San Telmo are the antique shops near the Plaza where you can visit the goldsmiths, steaks and plastics artists workshops. Thanks for another tour of your great city. You make it sound so inviting. One of these days we might just make it your way! Thanks Eddie for your comments! Hope you can visit Argentina some day! This is a wonderful tool. Look for the Architecture of the place :). Congrats on the New Look for the blog. Thanks! I´m glad you like it! Hope you continue enjoying next posts!